quiltcrazy: I was busy on our trip. 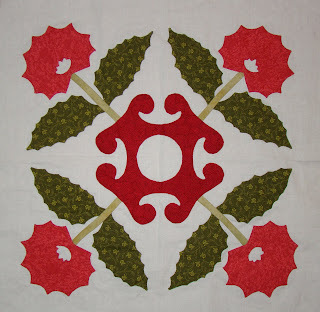 I completed 9 more blocks for the Mary Mannakee quilt on our last trip. 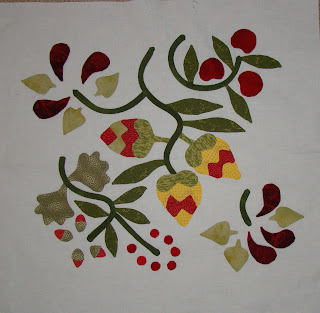 Applique is a great take along project. 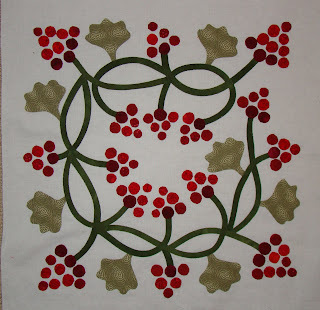 14 down and 11 more to go then the border appliques. We will be on the go again and I'm busy prepping the rest of the blocks. We didn't plan to be traveling back-to-back-to-back but when our best friend had major heart failure, we postponed this upcoming trip from March to now. I hope to be able to blog onboard without it costing an arm-and-a-leg. See you on-line. Good grief! Nine blocks? How long did that take you? They are fabulous, that will be a fantastic quilt. 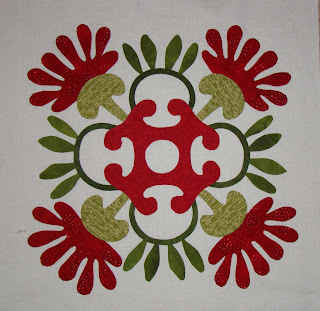 I am in awe of all your newly completed applique blocks. Just wonderful eye candy. Absolutely gorgeous! 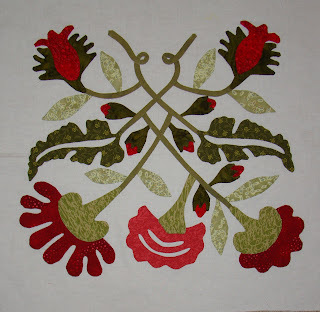 Your applique is just to die for. You are right it is a terrific take along project. I can't wait to hear where you are going this time. Oh my gosh, you have been busy!! The blocks are just beautiful. 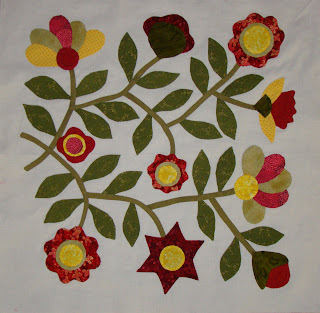 those are wonderful blocks, I am getting more and more hooked on applique and love those blocks. 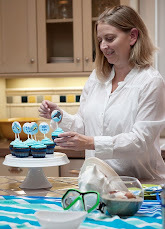 They are great for travel aren't they - and easy to if you do all the prepping in advance. Wow, you are on a roll and all so beautiful, too! OMGosh Janet those are just gorgeous!! I LOVE the green leaves on the third block down...very challenging looking. 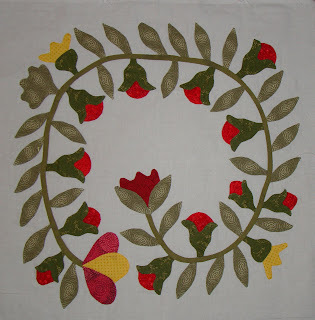 Janet, I love the fabric you are using for the Mary Manakee. Just how long were you gone anyway?!? 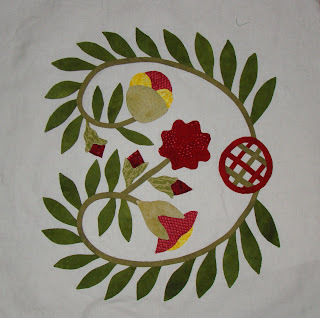 your applique is so neat and perfect! Awesome and beautiful aplique.Well done!! maybe I need a trip to get more blocks done! 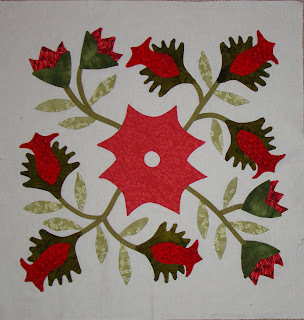 as soon as I finish piecing the one I am working on now I will start my next block. VERY impressive! All of your prep work really paid off. Beautiful! Way to go! They all look fabulous together, truly inspirational. The blocks are amazing Janet. Glad you're home. Only six flights in 24 days? 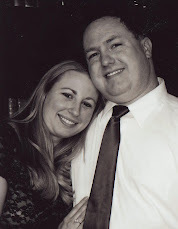 My husband and I came home from San Antonio on Monday, and it took us three flights!! Janet, These are beautiful! Well done! Beautiful MM blocks Janet. And well done getting so much done on holiday! WOW! Your blocks are amazing. You sure got a lot of stitching done! Love your blocks. The yellow is stunning. I may have to wait until I can travel to tackle blocks like this:) Best wishes to you and yours -enjoy your trip. as looking at Pinterest and saw pictures of your Mary Manakee blocks. Wonderful!